They say your 21st is the day you finally become a 'man' or 'woman', or perhaps the day your parents can finally draw a line under pocket money and house free rent! On that special day it is common practice for the 21st Birthday boy or girl to hire a limousine to get to their venue. Many people book a VIP table in a club and use the limo to get to the club and back in style, some lucky people decide to hire out their own hall or nightclub. When thinking about limo hire it is best to know how many friends are you expecting to travel with, this can limit what type of car you wish to go for. HummerHummer have a range of Hummer limousines in London and self drive hummer vehicles if you ever decide to take to the streets your very self. When going with a reputable company you are going to be assured of having a quality experience with all of the latest entertainment inside to really get the Birthday occasion started. If you really want to take your 21st Birthday to the next level you can book your very own DJ in a limo. Some of the most exotic limos can be found in London and tend to be very popular due to its close proximity to the nightlife scene in the west end. 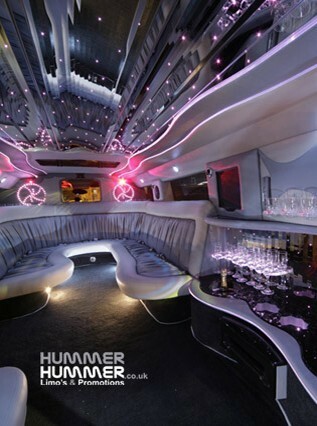 For complete Hummer hire coverage around the UK Bookahummer is a useful resource. There are a range of different types of limousines, if you think wilder the better maybe the triple axle 8 wheeler Hummer is the limousine for you? It has 8 wheels, learjet door access and seats up to 16 passengers. Prices start from £25 per person and includes drink on board, if you have never cruised in a limousine before what not a better time than your 21st Birthday!